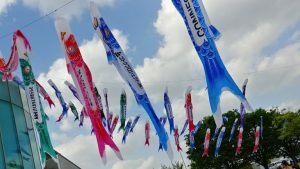 We visited Kumamoto two years after the Kumamoto earthquake. In April 2016, Peace Boat Disaster Relief Volunteer Center (PBV) dispatched staff to the disaster site from April 16 immediately after the main shock occurred. and started disaster relief work. Until the end of December we carried out eight projects in Kumamoto city, Mashiki, Nishihara village and Minamiaso village, among others. 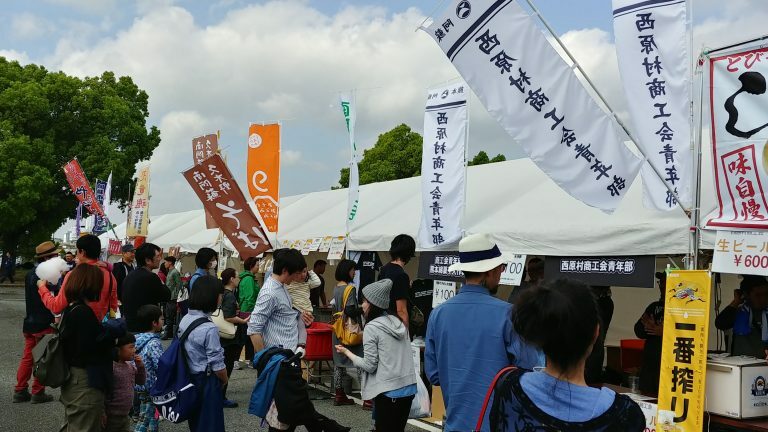 One of the projects that we took part in was a request from Mashiki town office to support the evacuation shelters and the management of shelters by residents and administrative officials at Grand Messe Kumamoto and Hiroyasu Elementary School. It was prohibited to enter Grand Messe Kumamoto due to the damage the building sustained from the main shock of the earthquake. PBV provided support to evacuees through activities such as distribution of relief supplies, setting up a playground for children, and management of a cafe space. 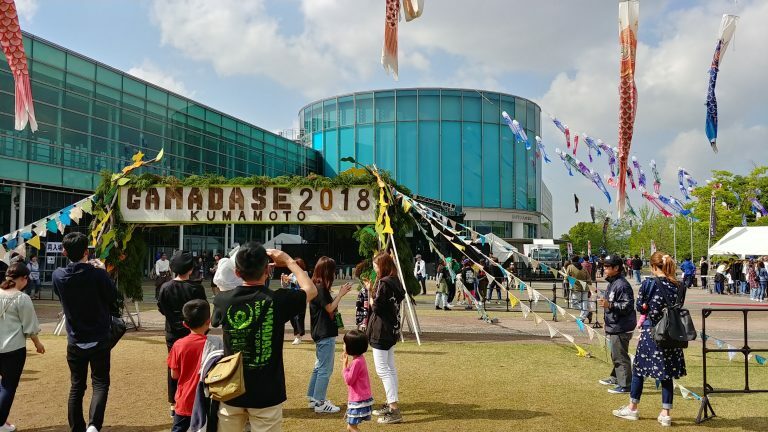 At Grand Messe, a music event “GAMADASE KUMAMOTO 2018” was held for two days on April 14 and 15, two years after the earthquake. Working towards recovery, this event was planned to support the local Kumamoto people through music. Many artists who were involved in supporting Kumamoto earthquake relief activities and others with connections to Kumamoto performed. Additionally, there were also booths set up by the local Commerce and Industry Association with diverse content that could be enjoyed by all generations from children to adults. 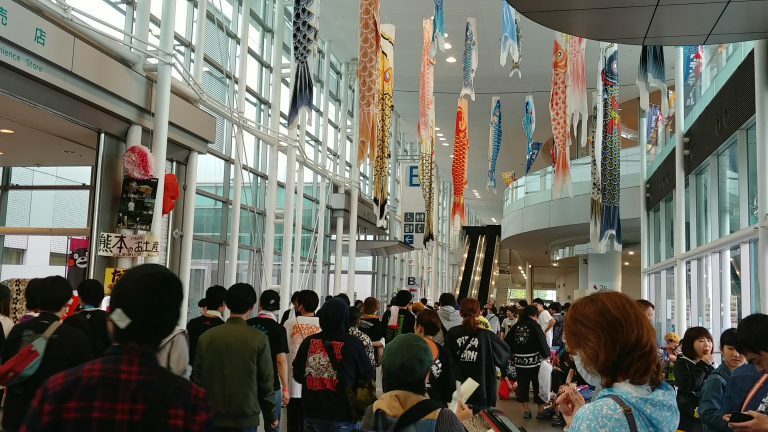 In 2016 it was not even possible to enter Grand Messe but now it has regained its original grandeur, and has once again become a wonderful place filled with the happy faces of the residents of Kumamoto. The earthquake two years ago wrought extensive damage, so efforts to improve the difficult situation of the affected citizens were also implemented in Kumamoto City. In Kumamoto City, PBV conducted food assistance (providing hot meals), operational support for disaster volunteers, and support for disabled children and childhood development activities. 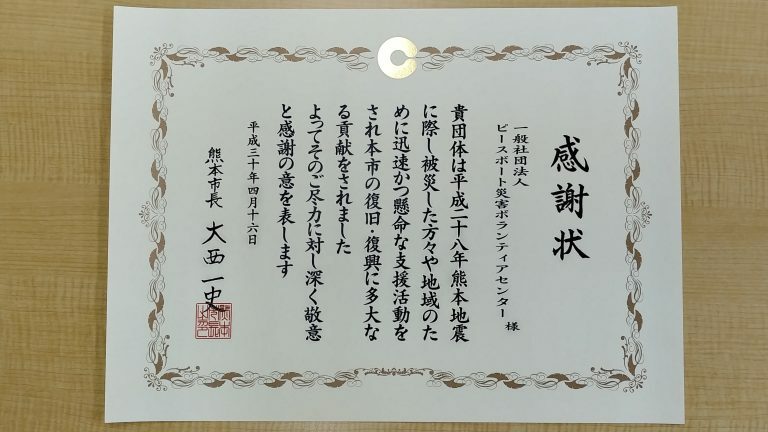 In response to such efforts, the mayor of Kumamoto sent PBV a letter of appreciation, and we were invited to the “Kumamoto Earthquake Appreciation Letter Award Ceremony” held at Kumamoto City Hall on April 16. 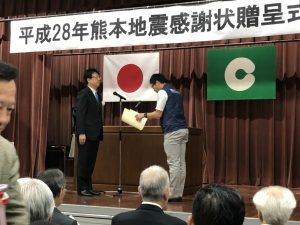 The letter of appreciation was presented to 231 companies and organizations that supported Kumamoto City through life saving activities, evacuation shelters, providing supplies and infrastructure restoration, among others. PBV was honored to be one of the 20 organizations selected to directly receive the letter from Mayor Ohnishi. 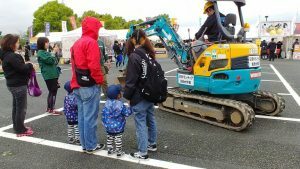 Our disaster relief work in Kumamoto City was made possible thanks to the cooperation of the local community who received us and the support for PBV’s work from many people nationwide. This is a thank you letter to everyone who contributed to our disaster relief work through contributing to PBV. Thank you once again. 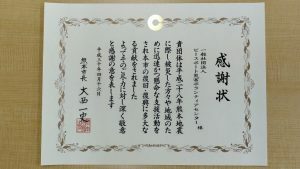 In his opening remarks at the award ceremony, the mayor gave words of thanks and urged everyone to “look at Kumamoto as it moves forwards to reconstruction”. 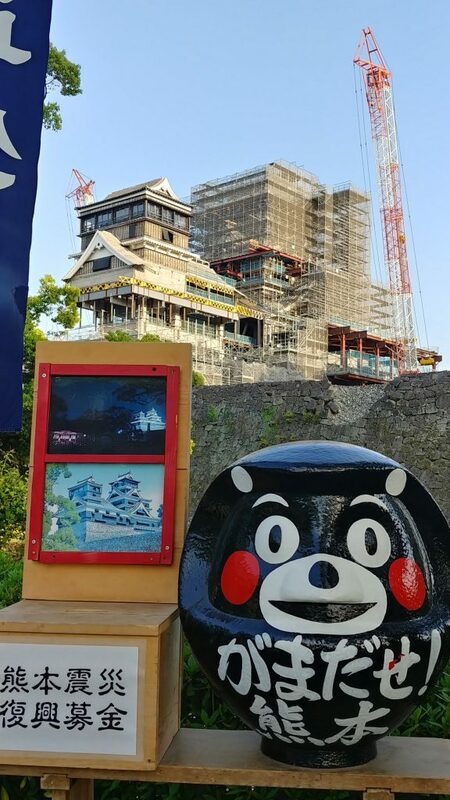 In Kumamoto prefecture, restoration work is proceeding in various places, and you can easily note its steady advancement. On the other hand, more than 38,000 people (as of March 31, 2018) still continue to live in temporary residences and many problems still stand in the way of reconstruction. For the residents who have received us and our efforts, we would like to continue doing what we can moving forward.